“Whoever is simple, let him turn in here…” (Proverbs 9:4, 16). 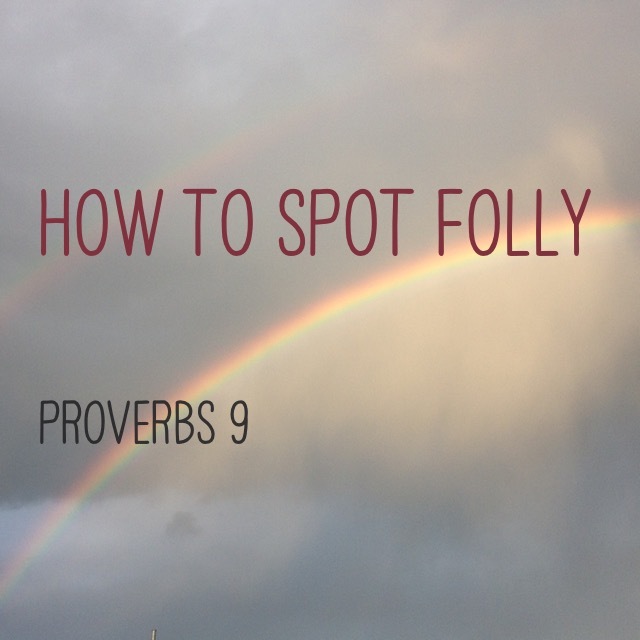 Both Wisdom and Folly call out to the same thing to people who are lacking understanding: “Come into my house!” So how do you tell the difference? Simply put—Wisdom raises the bar, and Folly lowers it. Wisdom will make you work; Folly cuts corners. But only Wisdom can give knowledge of God, understanding of His ways, multiplied days, long life, and life-enhancing wisdom. Folly can give nothing but empty words and dead-ends.